• Stainless steel with engraved scale. Bodycraft™ is a division of Recreation Supply, Inc. Feels just like a road bike! BodyCraft is a famous manufacturer different goods like fitness & sports. We count 21 original references related to this supplier . 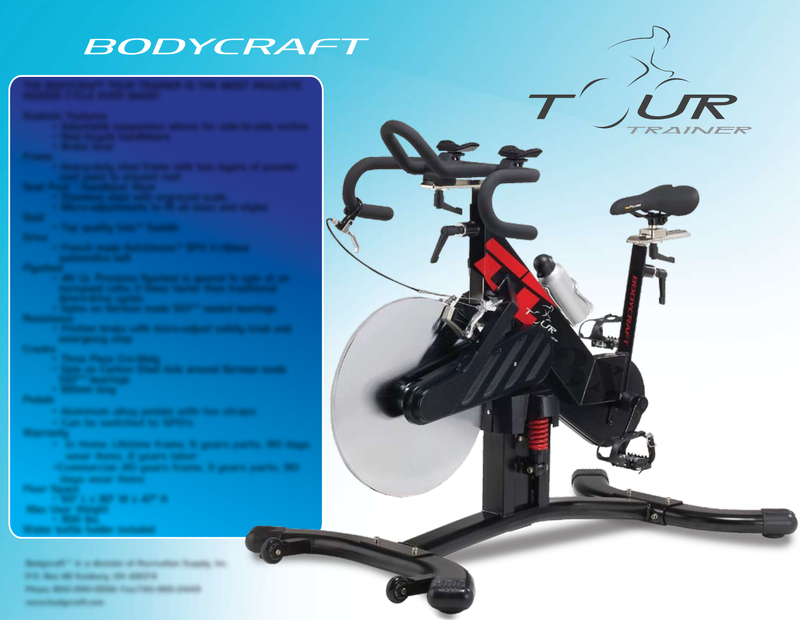 Now you're reading a user guide for BodyCraft Bicycle none.